Our newest flagship, Silver Muse is without question an inspirational work of art. The best place between sea and sky, 8 dining venues, spacious outdoor areas and up-to-the-minute technology makes her simply divine. 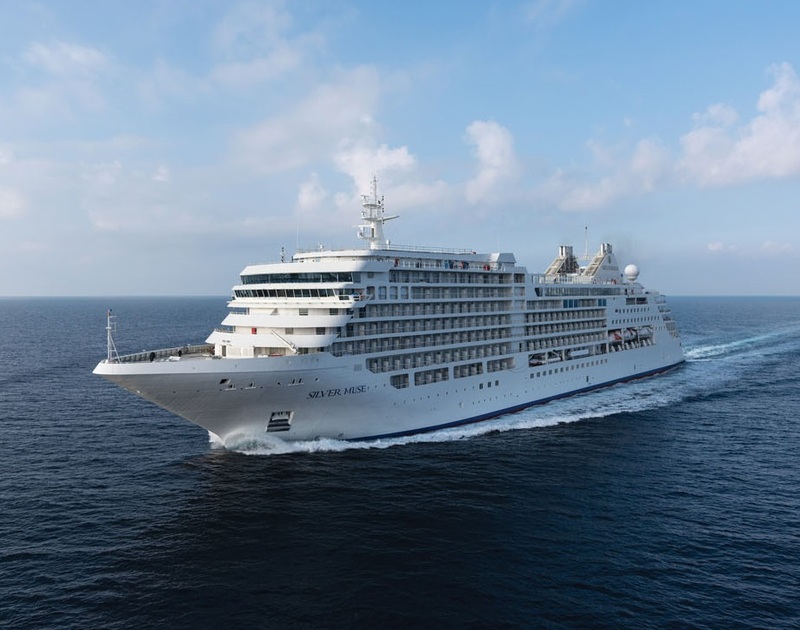 Representing an exciting evolution of Silver Spirit, Silver Muse redefines ultra-luxury ocean travel – enhancing the small-ship intimacy and spacious all-suite accommodations that are the hallmarks of the Silversea experience. Delivered in 2017, she accommodates just 596 guests with the uncompromised comfort, service, and quality sought by the world’s most discerning travellers. Airlie Beach, without doubt the social centre of the Whitsundays, is a bustling village nestled between the steep mountains of Conway National Park and the sparkling blue waters of the Coral sea. With plenty of budget accommodation (including 11 backpacker hostels) and its close proximity to beach and hinterland activities, it’s the perfect backpacker base for exploring the Whitsundays. On the main street of Airlie Beach you’ll find everything you need: banks, post office, souvenirs, restaurants, cafes and nightclubs – many of which feature live entertainment every night of the week. And on Saturdays, there’s usually a market on the foreshore selling everything from local arts and crafts to fresh produce. At Airlie Beach you’re close to every activity the Whitsundays has to offer. You can dive, sail, snorkel, swim and cruise the islands or reef. If you’re after some real action, there’s bungy jumping, sky diving or stunt flying. You can even feed the crocodiles. Or if you want something a little more subdued, try horse riding or 4WD rainforest touring – it’s all nearby. No matter what time of year you visit Airlie Beach, you’ll find it a great place to stay and a wicked place to party. Bali is the festive face of Indonesia, the jewel in its crown. “Island of the Gods” and “Morning of the World” are two of the names commonly used to describe this island, which is believed by its 2.7 million people to be on loan from the gods. Profoundly influenced by its rich Hindu culture, Bali has 20,000 temples, 60 annual religious holidays, and 2,000 dance troupes. Hardly a day goes by without a celebration, a procession, or some other festivity. Westernmost island of the Lesser Sundas, Bali is the most visited island in the Indonesian archipelago. It possesses the country’s most developed infrastructure. The island, which is 150 kilometers (93 miles) long, is known for its beaches some with crashing surf, others with placid waters framed by multicolored coral reefs. Bali’s interior is characterized by an east-west range of volcanoes (Mount Batur rises to 1,720 meters/5,643 feet and Mount Agung to 3,000 meters/9,842 feet) and deep north-south ravines where rice paddies fall away to emerald-green terraces. Bali is characterized by volcanic soil and tropical rainfall that make it an extraordinarily green and fertile land. Bali alone of the Indonesian islands is predominantly Hindu, and that heritage is largely responsible for the island’s unique character. When the Hindu Javanese Majapahit Empire conquered Indonesia in the 14th century, their artistic and cultural influence profoundly changed Bali, although vestiges of the island’s indigenous culture survive in isolated villages. When Muslims prevailed in Java, the entire Hindu cultural body moved its customs and practices to the smaller island, where the prevailing animist traditions were incorporated into the religion. As a result, Hinduism in Bali has its own flavor, different from that of India. Paradoxically, given its many blessings, Bali survived the incursions of colonizers and invaders that plagued the rest of Indonesia because it lacked what other islands possessed in abundance: spices, precious metals, and woods. Thus Bali’s culture flourished more or less undisturbed until 1908, when the Dutch took control. The Great Barrier Reef curves close to the coast and meets the rain forest at Cairns, the gateway to Australia’s “Deep North.” Explore the reef up close via catamaran, or choose from a host of excursions the lush tropical forests, picturesque towns and homesteads that surround the city. The nearby town of Kuranda has a butterfly farm and a great street market on Sundays and Wednesdays. Darwin, capital of the Northern Territory, N Australia, on an inlet of the Timor Sea. It is the chief port and administrative center for the sparsely settled tropical north coast. Called Palmerston until 1911, it was renamed for Charles Darwin, who discovered its site in 1839. It has been largely rebuilt since a devastating typhoon in 1974. Kakadu National Park is nearby. Closer than any other Australian town to the Great Barrier Reef, Townsville is also a popular beach resort. This lively harbor town offers a full complement of entertainment, ranging from a theme park that transports visitors to the wonders of the reef – without leaving the mainland – to casinos that create quite another kind of wonderland.